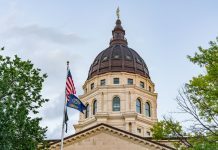 Kansas senators launched an opening salvo on the budget today, forwarding to final action a bill that would make a $115 million payment to the Kansas pension system, KPERS. Lawmakers postponed payments in 2016 and again in 2018 in order spend money on other functions, most of which was school funding. Sen. Rick Billinger, R – Goodland, urged his colleagues to support SB 9 and make the payments to KPERS this year. “Why wouldn’t we make this payment now, unless we wanted to spend it on something else?” Billinger asked. Several senators argued just that. That’s not what Senator Hensley said when Governor Brownback proposed delaying KPERS pension payments and re-amortizing the long-term pension debt. In a 2017 op-ed for the Osage County Herald-Chronicle, Hensley wrote that Kansas must stop using KPERS as a credit card and accused Governor Brownback of “…jeopardizing our state’s commitment…to public employees.” He also was highly critical of Brownback’s re-amortization plan, which is eerily similar to that proposed now by Governor Kelly. Members of the Kansas Senate today forwarded SB 9, a bill that would repay $115M to the Kansas Pension System. Gov. 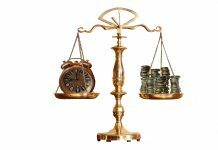 Kelly’s budget proposes instead to reamoritize the public pension system. 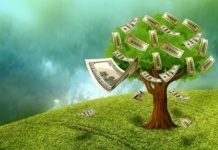 “There are a number of priorities that we have, that are facing us this session and the first bill we have up on general orders is going to decrease the general fund ending balance by $115 million,” Hensley said, noting he will reluctantly vote in favor of the measure. Gov. Laura Kelly did not include the KPERS repayment in her budget. Her proposal would reamortize payments into the state’s pension system over the next 30 years. 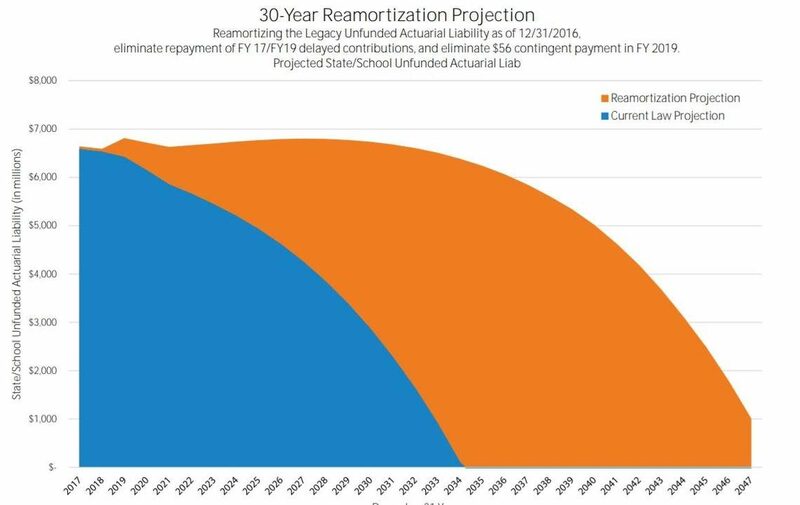 Similar to refinancing a house, the reamortization would net the state $145 million in the short term, but cost an additional $7.4 billion long term. Senate Majority Leader Jim Denning said lawmakers should have debated reamortization first. “Without that, there’s no way the budget folks can do their work…That needs to come to the floor ASAP so we know what direction we’re heading,” he said.